Flu season will be quickly upon us and with it comes an unfortunate increase in the likelihood of experiencing fevers, coughs, runny noses, vomiting, and the like. Although no one enjoys being sick, this time of year poses particular challenges for individuals suffering from “vomit phobia”, or emetophobia, the fear of throwing up. The fear of vomiting can affect individuals of all ages. It sometimes emerges in childhood and, if untreated, may follow a relatively chronic course. However, it can also develop well into adulthood, sometimes taking root after a negative health experience (e.g., after getting food poisoning or after experiencing an episode of severe or uncontrolled vomiting). Consequences associated with the fear of throwing up can be extreme. In children, vomit phobia can lead to school refusal and avoidance. Academic performance may suffer, and children may miss out on certain developmentally important social milestones. If a child or teenager is afraid of getting nauseous or throwing up, he or she may avoid birthday parties, sleepovers, dating, and eating out at restaurants. Missing out on these activities can affect relationships and impact social development, which may lead to chronic social impairments. Even when longstanding social problems do not develop, children with vomit phobia still experience a great deal of unhappiness, fear, anxiety, and distress. Adults with the fear of vomiting may also be significantly impaired by their symptoms. They may have more absences from work and may avoid work-related travel, which can affect opportunities for advancement. They will often dread meetings, during which they may feel trapped and uncomfortable, and may avoid certain job responsibilities like public-speaking or presenting. This can leave otherwise bright and capable individuals stagnating in jobs that are beneath their true capabilities. Vomit phobia also affects travel for leisure and dining out, and can wreak havoc on romantic relationships. Women with the fear of vomiting may experience extreme distress at the thought of becoming pregnant and experiencing morning sickness. Women with the fear of morning sickness may delay starting families, and some may choose to never have children at all due to the fear of recurrent vomiting during pregnancy. Clearly, this can have profound and lasting effects on one’s life. Emetophobia is defined as an excessive or irrational fear about the act, or possibility, of vomiting. However, this relatively straightforward definition belies the many, rather complex factors that may explain the development of the fear of vomiting in different individuals. In my practice, I rarely encounter cases of “vomit phobia” that truly represent simple phobias. In the individuals I typically treat who have the fear of vomiting, symptoms are often best explained by another underlying condition, such as obsessive-compulsive disorder (OCD), social anxiety, or agoraphobia. In this post, we’ll discuss these different possible etiologies. But first, let’s talk about some of the behaviors that are common to these different manifestations of vomit phobia. Avoidance of foods or smells associated with past vomiting episodes. Avoidance of germs, hospitals, and sick people. Holding one’s breath when around other people. Refusing to shake hands with others. Avoidance of garbage and other foul-smelling or dirty things. Excessive cleaning of food prep surfaces. Throwing away food before it has reached its expiration date. Checking other people for signs of illness. Excessive smelling and checking of food. Overcooking food to kill potential pathogens. Avoidance of eating new foods (or extreme anxiety when eating new foods). Eating the same (limited) foods over and over again to avoid stomach upset. Anorexia, i.e., the complete avoidance of eating or severe restrictions in eating. Avoidance of eating foods when away from home. Checking for the locations of bathrooms (when away from home). Restricting travel away from home (staying at home, avoiding social activities). School avoidance or work avoidance. Taking one’s temperature excessively or monitoring one’s body for other signs of illness (e.g., checking lymph nodes). Superstitious rituals designed to avoid getting sick. Only eating foods after other people have already eaten them. When eating in public, monitoring other people’s reactions to their food. Excessive concern about non-documented food allergies. Avoidance of public speaking responsibilities or other situations in which one is the center of attention. Avoidance of meetings or other situations in which one might feel trapped, or situations in which one could not easily escape if they became ill.
Avoidance of planes, cars, and/or public transportation in order to avoid feeling trapped. Vomit phobia may develop spontaneously, or it may develop following a traumatic vomiting experience. Ironically, some of the rituals and avoidance behaviors that people develop in response to the fear of vomiting may actually lead to increased nausea sensitivity. What would be so bad about vomiting? A) What could be worse? Vomiting could be the sign of something seriously wrong with me. People die of influenza every year. B) It would be humiliating. What if I can’t make it to a bathroom in time, and my friends or co-workers see me throw up? It would be too embarrassing, and I don’t know how I could face them again. C) I could get trapped somewhere. What if I couldn’t find a bathroom in time? D) Vomiting is just too awful, and I just couldn’t handle it. People with agoraphobia would most likely relate to options B and C. Remember that although most people think about agoraphobia in the context of panic attacks, agoraphobia can also be conceptualized more broadly as the fear of having a physical symptom attack in a setting in which escaping or getting help would be difficult. If your primary fear is not focused on the act of vomiting itself but rather on the possibility of getting sick in a situation in which escape would be difficult, embarrassing, or impossible, then agoraphobia might underlie your vomit phobia. As such, people with agoraphobia might cope well with vomiting when at home but would be fearful of vomiting when outside of their own household. People with OCD may be more likely to endorse items A and D. People whose vomit phobia is driven by OCD may consider vomiting as a sign of something dangerous and may also underestimate their ability to cope with the act of vomiting itself. People with OCD-related emetophobia may tend to exhibit more global fears about vomiting relative to those with agoraphobia or social anxiety. Vomiting may be experienced as equally dangerous or distressing regardless of the setting in which it occurs. Other characteristics of OCD-related fear of throwing up may include a greater variety of cleaning and checking rituals, as well as avoidance behaviors. Individuals with OCD often recognize logically that their rituals are excessive and yet feel powerless to reduce them. People with social anxiety are more likely to select B and C, which can make it hard to differentiate from agoraphobia. This is understandable, given that many individuals with the fear of throwing up have symptoms consistent with both social anxiety and agoraphobia. The difference between these two possibilities is that individuals with vomit phobia related to social anxiety would be relatively okay with the idea of getting sick in a remote or secluded place (e.g., when walking alone in the forest). People with agoraphobia would likely find this possibility distressing because it might be difficult to get help (if needed). Thus, social anxiety-related vomit phobia is primarily concerned with the social consequences of being sick in public rather than the availability of help/escape. Please note that the above descriptions are oversimplifications of complex phenomena. OCD, agoraphobia, and social anxiety are not mutually exclusive, and individuals may have symptoms consistent with several different forms of anxiety at the same time. Treatment of emetophobia is best accomplished through cognitive behavioral therapy (CBT), which uses specific tools to reduce symptoms of vomit phobia. Treatment of vomit phobia involves correcting faulty beliefs about illness and disease, reducing avoidance behaviors, confronting challenging situations, and ultimately overcoming your fears. Dr. Steven Seay is a licensed psychologist who specializes in the treatment of OCD and obsessive-compulsive spectrum disorders in adults, teens, and children. He currently practices in Palm Beach Gardens, FL. Dr. Seay’s South Florida OCD treatment program at the Center for Psychological & Behavioral Science offers outpatient therapy, intensive treatment for OCD, group therapy, support groups, telephone therapy, and online therapy. 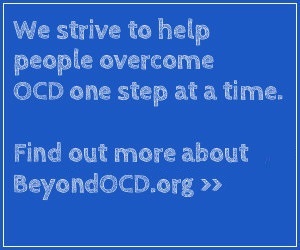 Additional articles about OCD are available on Dr. Seay’s blog at www.steveseay.com, and treatment information can be found at www.psychologyandbehavior.com.